Many experts anticipate the electric utility industry evolving more in the next 10 years than it has in the past 100. So noted the Illinois Commerce Commission (ICC), when it recently initiated the “NextGrid” Utility of the Future Study. NextGrid is a statewide, collaborative effort to rethink the roles of the utility, the customer, and energy solution providers in a 21st-century electric grid. The ICC invited stakeholders to participate in NextGrid, welcoming suggestions for how the process should work. Environmental Defense Fund (EDF), partnering with the Citizens Utility Board (CUB), recommended NextGrid ensure that upcoming technological advances enable a more dynamic grid – one that is cleaner, affordable, reliable, equitable, and more responsive to customer needs. But how do we get there? Over the last several years, Illinois has taken steps that put it on the forefront of the smart grid revolution. In 2011, Illinois’ Energy Infrastructure Modernization Act propelled the state’s two largest electric utilities, Commonwealth Edison (ComEd) and Ameren, to undertake billions of dollars in smart-grid investments, like AMI (advanced metering infrastructure). As a result, smart meters will be deployed throughout most of the state by 2019, and customers are anxious to start enjoying the benefits, like easier access to energy-use data and enhanced efficiency. Further underlining its role as a clean-energy innovator, Illinois passed the bipartisan Future Energy Jobs Act (FEJA) in December of last year. Utilizing the new smart grid infrastructure in the state, FEJA encourages the adoption of distributed energy resources such as rooftop solar; expands the state’s existing energy efficiency standard; and includes a focus on economically-disadvantaged groups (like through the new solar job training program). The historic legislation provides exciting opportunities for Illinoisans to enjoy the economic, health, and societal benefits of clean energy advances. Provide recommendations to the ICC and Illinois legislators on actions that ensure customers and communities benefit. Numerous innovations in energy-related technology are on the horizon, and many new, innovative products and services are already available. Meanwhile, customer expectations for utilities are evolving: Customers want more information about, and greater control over, their energy sources and use. Fortunately, a changing energy system presents many opportunities for building a smarter, more connected electric grid. For example, system reliability – which was a key selling point of advanced metering investments – can be improved using a number of tools, from solar panels to microgrids to battery storage. Rooftop and community solar are largely nonexistent in Illinois right now, but the Future Energy Jobs Act will facilitate significant growth in the next decade (it’s already starting to take off in Chicago). The ICC should prioritize system reliability, as well as equitable access to these new opportunities. First, we recommend an educational process to develop a “problem statement” that provides guidance and establishes a sound analytical foundation. EDF and CUB warned against putting the cart before the horse – i.e. before the Commission can make policy decisions or identify potential areas of consensus or disagreement, everyone should have a strong knowledge base for the emerging technologies, system trends, opportunities, and challenges. 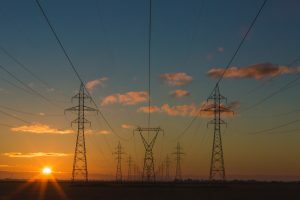 This phase of NextGrid should be facilitated by a neutral third-party, such as a university, who will invite local and national experts to provide input on identified trends and possible future scenarios. While some customers put reliability at the top of their list, others say affordability is most important, and still others focus on reduced air and water pollution. Once the problem statement has been created, working groups can be established to identify, evaluate, score, and test possible future scenarios. Scenarios could include significant adoption of rooftop solar, innovative energy efficiency measures, or increased electric vehicle adoption, and the impact of each will be measured against the possibility of maintaining the status quo. Led by a process management facilitator with expertise in energy system regulatory processes, this phase would consider what customers expect and desire out of the energy system. This will be different for different people: While some customers put reliability at the top of their list, others say affordability is most important, and still others focus on reduced air and water pollution. Environmental sustainability, energy affordability, system reliability, customer satisfaction, and equity should all be considered. Then, the parties should consider how to use new technologies, services, third parties, market designs, and other solutions identified in the first phase to achieve their goals. The formal process should kick off this summer. EDF and CUB are excited to engage in NextGrid and will work to ensure that it paves the way for a cost-effective, environmentally sustainable energy future for Illinois. This entry was posted in Clean Energy, Illinois, Utility Business Models. Bookmark the permalink. Both comments and trackbacks are currently closed. 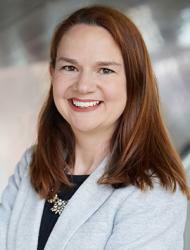 Christie is a regulatory attorney responsible for advancing clean energy initiatives in Illinois. She focuses on ensuring effective implementation of Illinois’s Future Energy Jobs Act, sweeping energy policy reform passed in 2016.